Mark McLeod-Harrison's interest in philosophy began at a young age, and his professional and ministerial careers have taken him to a diverse range of universities and church communities across the United States and Canada. "Early on in my Christian life," Mark recalls, "my questions were about how one can know the outrageous Christian claims were true. Questioning the faith wasn't really popular in my circles, so when philosophy came along in my college life, I knew I'd found a home." Influenced by authors such as Thomas Merton, Wendell Berry, St. Augustine, Dostoyevsky, Marilyn French, and Margaret Atwood, Mark is a lover of novels and poetry, organic gardening, and working with wood. 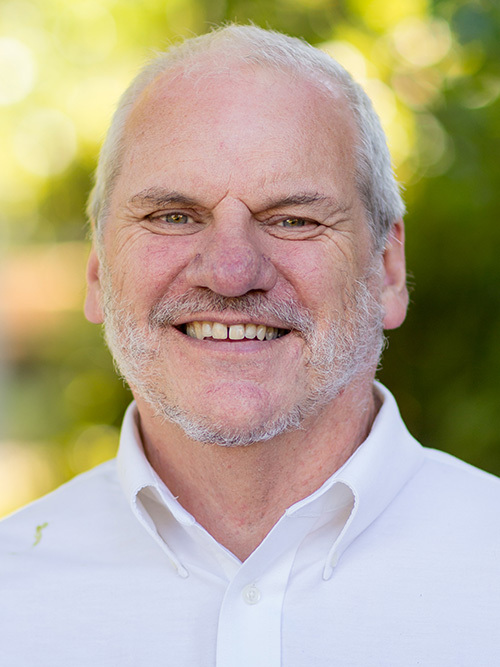 Prior to arriving at George Fox University in 1999, Mark taught at The University of Texas at San Antonio and Westmont College (among other places), and his research ranges over philosophy of religion, epistemology, and mysticism. He is also an ordained priest with the Communion of Evangelical Episcopal Churches and an actively participates in local service projects and retreat leadership. Mark is the author, coauthor, or editor of seven books: Incarnations of the Heart: Poems and Prose Out of History (Wipf & Stock, 2013); Being at Home in the World (with Phil Smith) (Wipf & Stock, 2011); Apologizing for God: The Importance of Living in History (Cascade Books, 2011); Make/Believing the World(s): Toward a Christian Ontological Pluralism (McGill-Queen's University Press, 2009); Repairing Eden: Humility, Mysticism, and the Existential Problem of Religious Diversity (McGill-Queens University Press, 2005); Rationality and Theistic Belief: An Essay on Reformed Epistemology (Cornell University Press, 1993); and The Logic of Rational Theism: Exploratory Essays (co-edited with William Lane Craig) (Edwin Mellen Press, 1990). Other publications include numerous essay-length studies in the fields of philosophical theology, apologetics, epistemology, and irrealism.